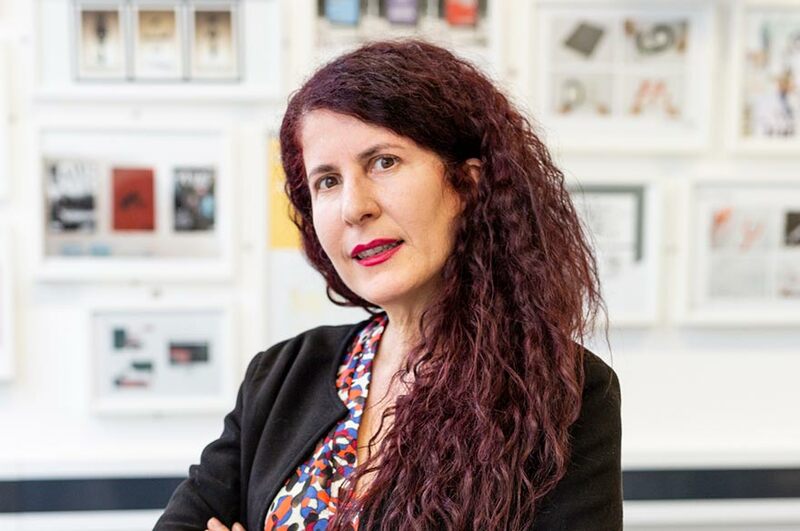 Sara Corvino is a Senior Lecturer on the Graphic Design programme. She contributes across all levels of the UG and MA course and is module leader for Design in Context 1. She teaches contextual studies through seminars, lectures and individual tutorials. Sara joined Nottingham Trent University in 2017. Prior to this she was based in Shanghai, where she covered several academic roles. Between others she was Program Director of the Visual Communication Department at Raffles Design Institute/Dong Hua University, Visual Communication Course Leader for the top up degree of Northumbria University, RCDC and University of Derby. Sara's industry background covers a wide range of disciplines from visual design projects to art installations, exhibitions, and show organisation. She has been creative director, art director and designer of many identity systems, museum information points, exhibitions, websites and digital publications. In Spain, where she lived for several years before moving to China, she was the Director of the Multimedia Publication Department at Zeta Multimedia, part of Grupo Zeta, Barcelona (Spain). Sara was responsible for the localisation, development and implementation of more than fifty multimedia projects. She played a key role in the Spanish localisation of several educational and entertainment projects from the world's most prestigious multimedia organisations, such as BBC, Dorling & Kindersley, Hachette, Kutoka, Discovery Channel, JoWood, Green and Enlight Software. Sara maintains an active professional practice of client-initiated and self-initiated design projects. Her creative activity address social, cultural and commercial issues within the broad spectrum of visual communication design, ranging from graphic design to exhibition design. Curator / Creative Director of YiTech, Italian Technology Exhbition, organized by AAIIC, with the patronage of the Italian Embassy and the support of ITA, Suzhou, Nanjing, Beijing, Shanghai, Guangzhou, Chengdu 2017-2018. Performer/Voice in off “Pasolini Corsario”, directed by Pere Alberò, Barcelona 2015, with the support of the Instituto Italiano di Cultura. Artist in the exhibition “Traveling in the Luxury Socialist Times”, organized by Luxun Fine Arts Institute & No1 Art studio. Northern China, December 2012, January 2013. Al di là dei confini teatrali: la Fura dels Baus; Sipario, Milan 1995. Primavera del Disseny, Escena, Barcelona, Spain 1995. Diseño de Sistemas Interactivos, Escena, Barcelona 1995.